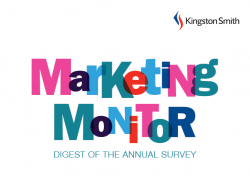 This issue of Marketing Monitor provides a digest of the results of the Kingston Smith 2017 annual survey on the financial performance of marketing services companies. The results come as something of a pleasant surprise amidst the recent chaos and uncertainty. They show that, collectively, the marketing services sector managed to produce one of the better sets of financial results that has been seen for several years. Of the eight individual disciplines surveyed, all saw their profit margins increase and most saw fee income increase. Also included in the issue is our ‘Monitoring the Markets’ section, which tracks the share prices of marketing services groups listed on the London Stock Exchange or Alternative Investment Market against the performance of the leading 100 shares on the FTSE.